Zero Calorie versus Plenty Calories. Hi deary, you know eh, when i write about some topics its not just to teach but also to help myself stop some bad habits. For me its a way of putting myself in check. I am no hero you know. *wink. When i tell some people that i indulge, they think its a lie. lol Let me give you an example. Recently, i discovered a particular drink with "zero" calories. Yes, i say discovered because up until 2 weeks ago, i had never tasted the very popular drink., so one fine day, i tasted it and was hooked. For the fact that it was 'zero' calorie, (even though they say its less than 1% cal) i was happy. Whenever i had sugar cravings, it was....'move over ice tea!' Good news is, It didn't make me put on weight but it sure gave me gas and a bit of headache. Wikipedia defines it as: "an artificial non-saccharide sweetener used as a sugar substitute in some foods and beverages". Can also be found as E951 at the back of some products. Its a derivative of aspartic acid and phenylalanine which is kinna harmful. 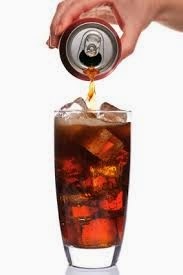 There are loads of controversies concerning aspartame, but the question is; is it ok for you and i? 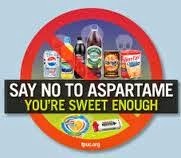 I did some research online and discovered that 'excessive' consumption of aspartame can lead to some illnesses like: cancer, diabetes, it can hinder weight loss, cause vision problems, birth defects etc. i noticed that its been used a lot, especially in this era of fitness and weight loss. Well, if i can speak for you, we are all guilty as charged because one way or the other, we consume some of these products unknowingly. So i ask which is better? Zero calorie life-threatning sweetner or plenty calories natural foods? Its a choice. I know that making fruit juices and smoothies at home seems like hard work and then fruits come with good amount of calories. Its worth it and fruits nourish our bodies in many ways. The point is to consume whatever it is in moderation and with caution. Love always and God bless.